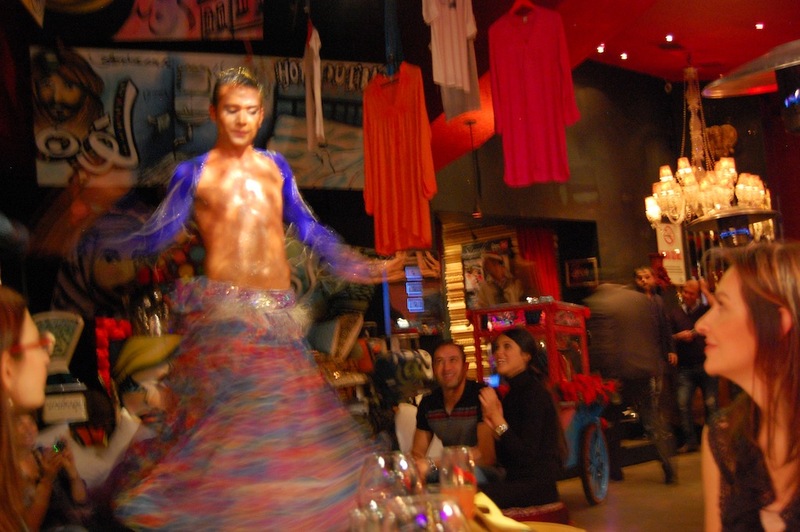 Arabesque located in the posh Maçka neighborhood successfully combines the oriental spirit with its delicious food, incredible interior design, colorful shows and fabulous belly dancing performance. 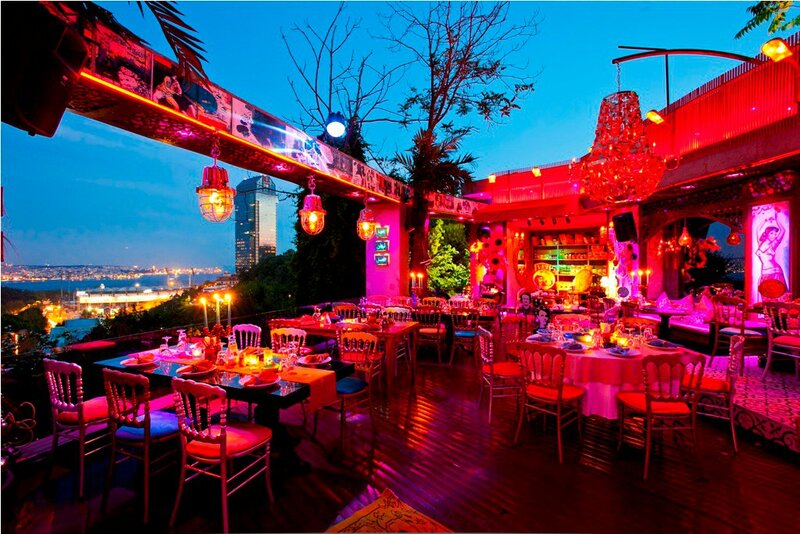 The owner of Arabesque, Izzet Çapa, whose name is well known amid Istanbul’s nightlife, also created Al Jamal and Beyrouth. Just like Beyrouth, the food is delicious, and the show is great. With walls decorated by famous Beirut graffiti artist Yahya Muhakkin, this elegant, unique restaurant and nightclub creates a refreshing atmosphere with its pop-Arabic cuisine and neo-Lebanese concept. 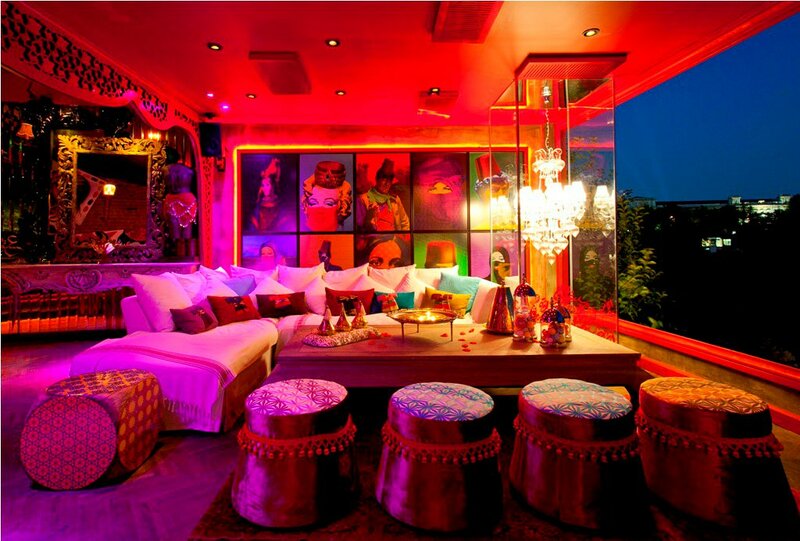 Feel like a sultan in the harem like interior design and fascinating mixture of “western” and “oriental” music. 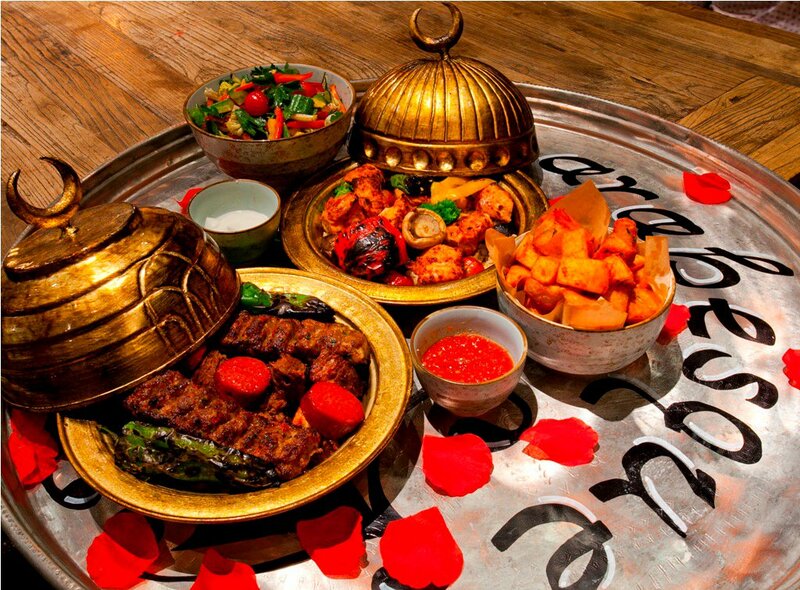 Eat regional fresh meze from mirror-topped tables scattered with rose petals, including falafel, lahmacun (Turkish pizza with minced meat), and çig börek are served as a live singer makes it through the tables, followed by a live Beautiful, breathtaking belly dance performance. The star of the night is usually an exquisitely lithe male dancer, dressed almost exactly the same as the girls with the addition of glittery body paint on his naked torso. 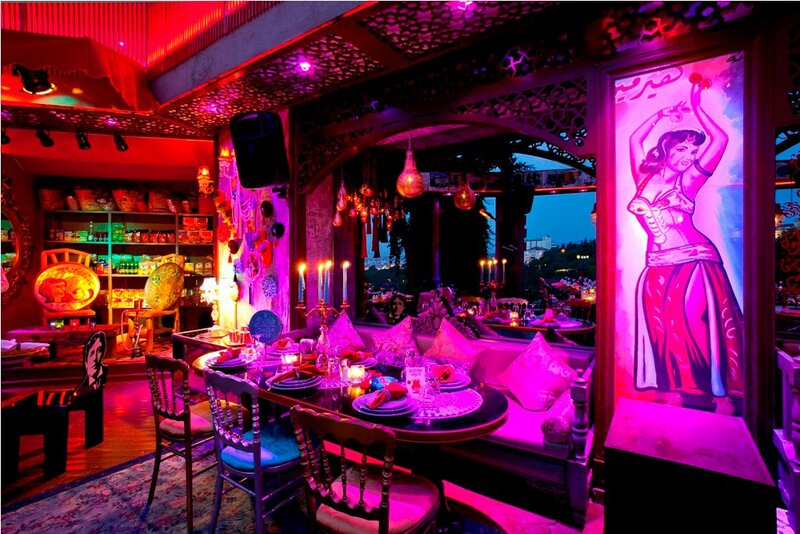 Arabesque offers belly dancing performances every night, with DJ performances after the show, spinning Turkish and Arab beats. 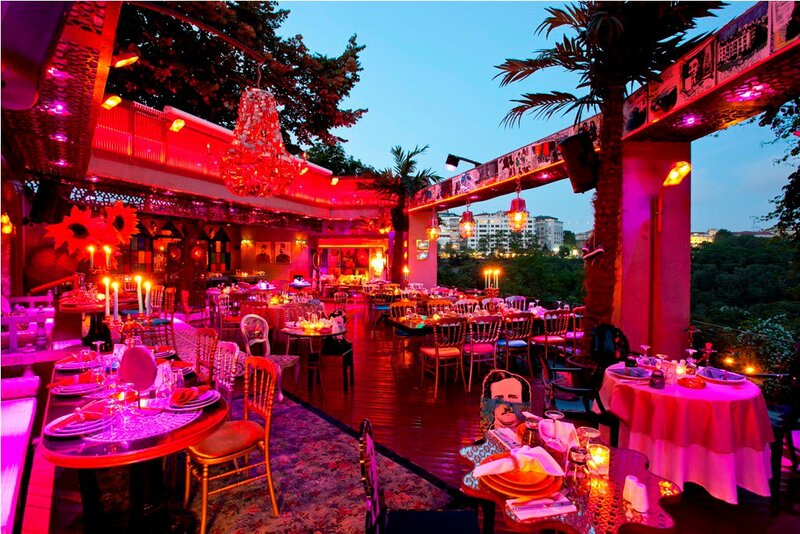 Arabesque offers a truly one-of-a-kind Istanbul event experience with an excellent Bosporus view. For more information visit Capamarka.com or follow on facebook.